Irish Green Building Council has awarded the exacting Home Performance Index silver certification to a multi-unit social housing development in Dún Laoghaire. The dwellings tendered by Dún Laoghaire-Rathdown County Council as a rapid build contract achieved the highest score so far for a multi-unit development. Contractor John Sisk & Son applied for the third-party verified Home Performance Index (HPI) to demonstrate that not only could they achieve the exemplary standard set down by the Council for nearly zero energy homes but that they could exceed it. The Home Performance Index label was developed by the Irish Green Building Council after extensive research and consultation with the industry to encourage quality and excellence in the development of new homes. In addition to the sustainability of a dwelling, HPI assesses its impacts on owners and tenants’ wellbeing and the costs associated with living in these homes. Sisk’s HPI silver certified homes have achieved the highest ever score under HPI for walkability. Proximity to schools, healthcare, parks, shops, amenities and public transport, reduce car dependency and has positive health and financial impacts for residents. Located in part of the former Council depot in Georges Place, the development represents an exemplary use of a brownfield, hence minimising soil sealing. It also demonstrates that very good densities can be achieved with two-storey homes designed to maximise privacy. To create an environment that can be used by all people, regardless of their age, size, disability or ability, the project team used the universal design checklist. For instance, scented plants were added at entrances to help those with sight impairments. The dwellings are extremely energy efficient and achieved the highest Building Energy Rating (BER), A1. A heat recovery ventilation system ensures excellent indoor air quality whilst further reducing energy costs. To improve comfort, windows were designed to achieve excellent daylighting. Finally, the experience and qualifications of the design and contracting team were assessed to ensure that a high-quality design, place making and attention to detail were applied from concept to completion. For instance, the potential for mould growth was minimised through assessment of air infiltration rates for all junctions; 95% of the waste generated onsite were diverted from landfill and Sisk achieved the Considerate Contractor certification, hence ensuring minimum disruption to neighbours during the construction. 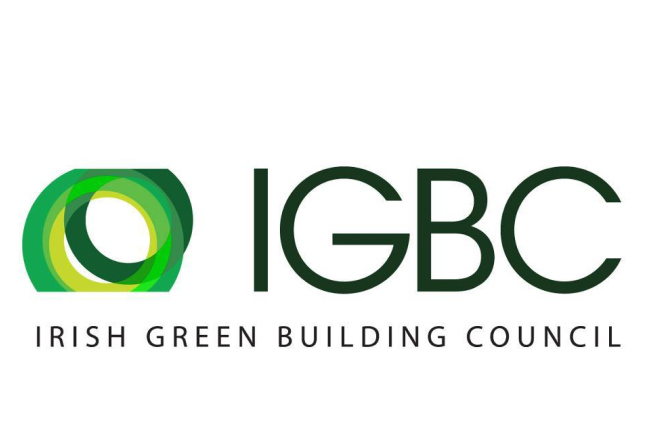 The Irish Green Building Council, (IGBC) a non-profit organisation was launched in 2011 with organisations and businesses from the entire value chain.